This shop for No-Bake Pumpkin Pie Spice Creme Brûlée has been compensated by Collective Bias, Inc. and its advertiser. All opinions are mine alone. 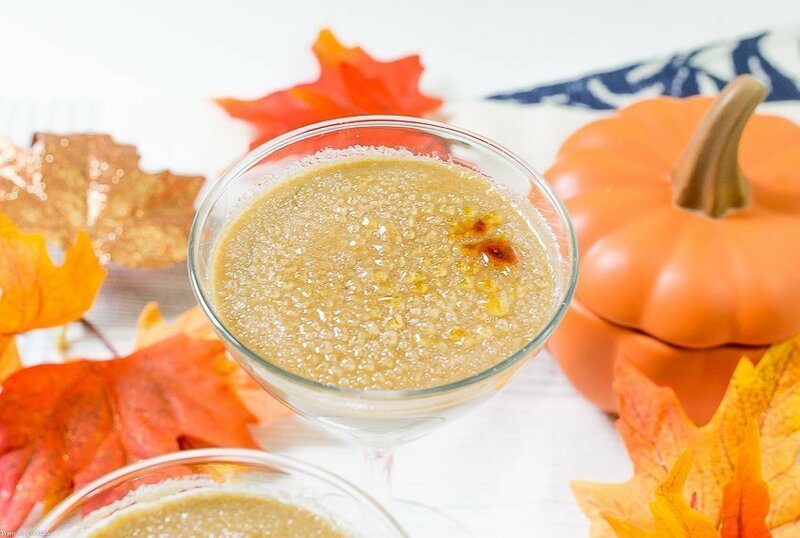 #FoundMyDelight #CollectiveBias Seasonal No-Bake Pumpkin Pie Spice Creme Brûlée is an elegant 5-ingredient dish your guests will love. 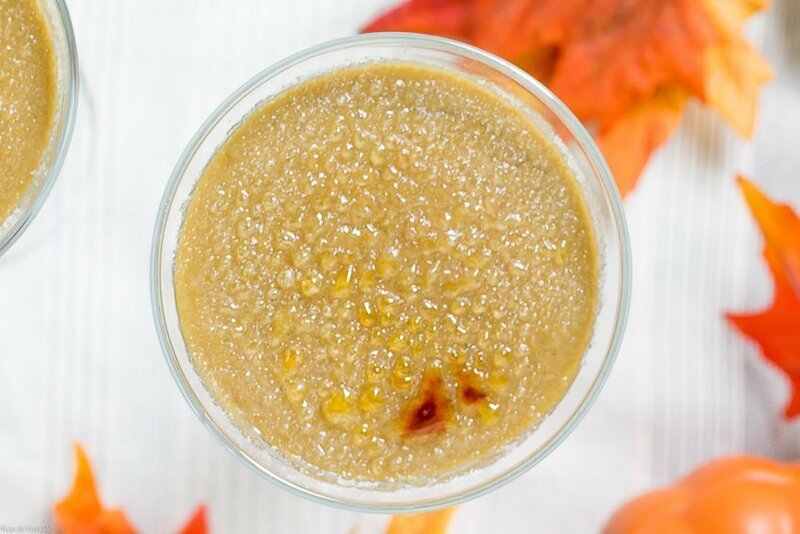 Silky stovetop pumpkin pie spice custard with a caramelized sugar crust. I have been talking a lot about change lately, What it’s like to have the kiddo out of the house. Plans Paul and I have for the casa this holiday season. Changes coming to the blog later this year. 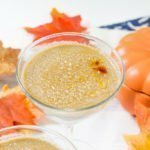 [bctt tweet=”No-Bake Pumpkin Pie Spice Creme Brûlée #seasonal # holiday #dessert” username=”thyme4cocktails”] One big change for me has been re-working my week so that I have more free time on the weekends. For the last few months there hasn’t been time for me to do much and I miss hanging out with my girlfriends. I love the guys but I need some estrogen and chitchat! I have one particular friend Carol who I usually see for Sunday brunch but it’s been so tough to connect lately. Now that I have more time on the weekends we met for brunch at the casa last weekend to catch up. We skipped our usual smoothie bowls and zucchini muffins in favor of something a little more decadent. 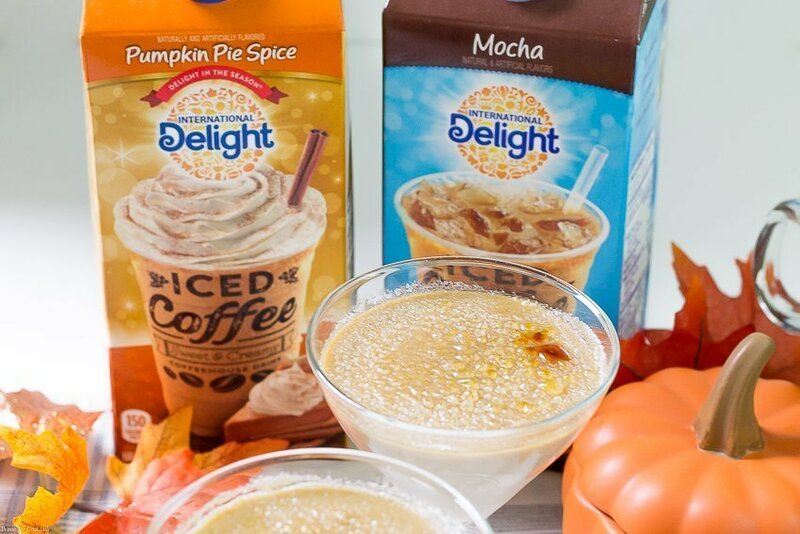 My No-Bake Pumpkin Pie Spice Creme Brûlée is made with International Delight Iced Coffee in their seasonal Pumpkin Pie Spice flavor. You can find it in the refrigerated tea/juice section at Walmart along with other yummy flavors like Mocha and Caramel Macchiato. I love that you get coffeehouse taste in a fridge friendly ready-to-drink iced coffee. It’s really great in recipes like my Ultimate Chocolatey Mochatini. 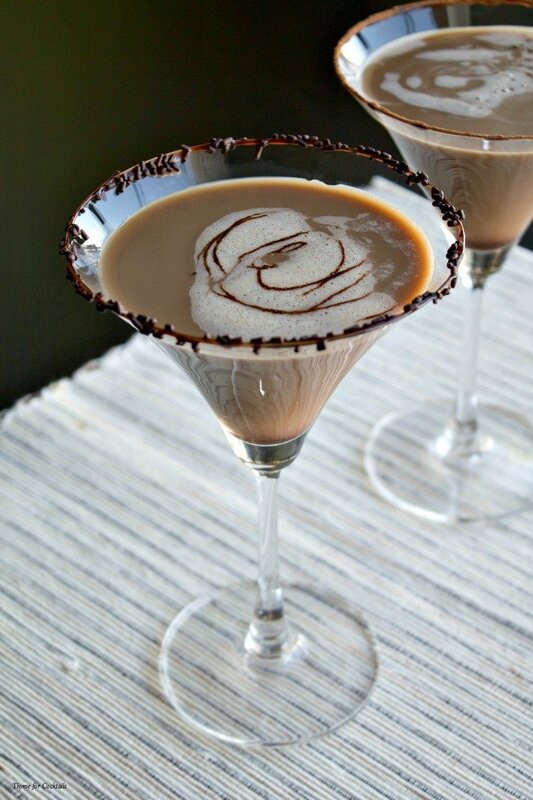 Because who doesn’t love coffee and chocolate in a cocktail! Creme brûlée can be intimidating recipe but this no-bake recipe has 5 simple ingredients and comes together in no time. You can even make the custard a day ahead like I did, then brûlée to topping right before you serve. The International Delight Iced Coffee has so much flavor you only need heavy cream, egg yolks and a little brown sugar. And since you aren’t baking the custard you can serve it in fun glasses and dishes instead of a ramekin! I loved how it turned out in these elegant stemmed glasses! 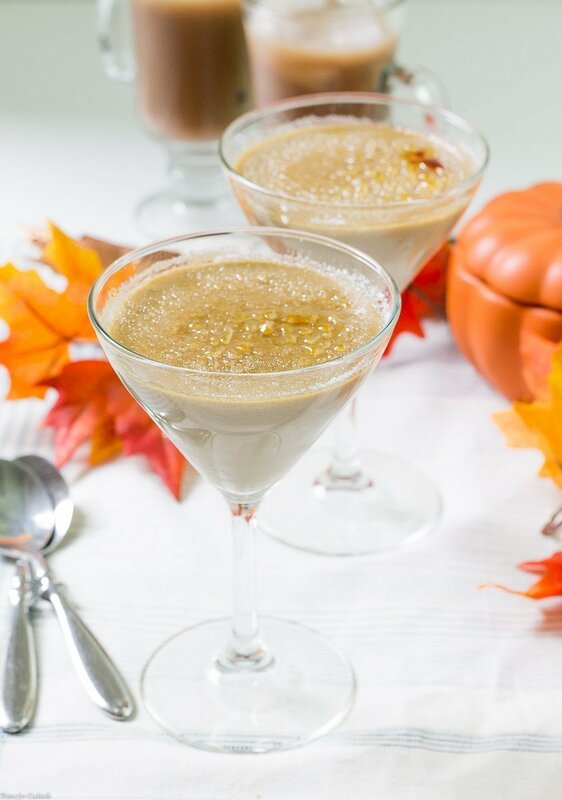 Seasonal No-Bake Pumpkin Pie Spice Creme Brûlée is an elegant 5-ingredient dish your guests will love. 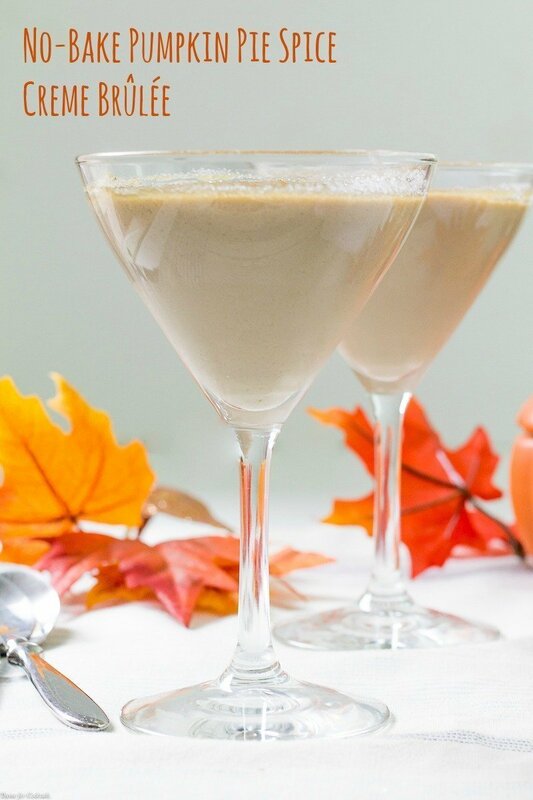 Silky stovetop pumpkin pie spice custard with a caramelized sugar crust. Heat cream, coffee and brown sugar to a low simmer in a medium sauce. In a small bowl whisk together egg yolks and cornstarch. Carefully add 1/4 cup warm cream mixture to eggs, whisking continuously. Slowly pour warm egg mixture back into saucepan, whisking continuously. Simmer custard on low heat for 8-10 minutes until thickened. Pour custard through a fine mesh strainer to remove any lumps. Chill custard for 2 hours. Sprinkle custard with white sugar. Use a kitchen torch to caramelize sugar. If using an oven safe dish custard can be broiled 2-3 minutes to brûlée sugar. Welcome to Thyme for Cocktails where we craft easy recipes made with fresh ingredients (and usually a hint of spiciness!) that are perfect for relaxed entertaining.